Simply put, “reactive dog” is shorthand for a dog who over-reacts to particular things in the environment. Most of the time, those things are other dogs or people, but sometimes we work with dogs who react to cars, bicycles, skateboards, or other objects. The thing which a dog reacts to is called a trigger. Some dogs will react to anything resembling their trigger, but other dogs are more specific. Dogs may be particularly bothered by a specific type of stimulus, or are only bothered under certain circumstances. For example, a dog might be okay with women but react to men, or relaxed around cars but not large trucks. We frequently get calls about dogs who react only when they are on a leash. These are dogs that go to daycare or visit the dog park and play just fine, but when restrained by a leash, they lunge, bark, and growl at other dogs. Or, they don’t care about cars when they’re playing in the yard, but go berserk if one passes them while they’re out for a walk. Many reactive dogs are labeled as “aggressive.” However, that term does not always accurately define these dogs’ behaviors. Reactive dogs are often acting out of fear, frustration, or confusion, and generally will not harm their trigger even when given the opportunity to do so. 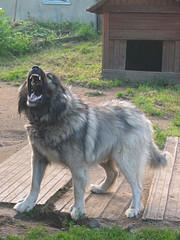 Typical reactions involve lunging at the trigger accompanied by vocalization such as barking, growling, or whining. You may also notice the dog’s hackles (the fur around the shoulders and base of the tail) rise, the whites of the eyes becoming visible, and a stiff tail. Every dog is different and will have its own unique reaction to its triggers. I have worked with dogs who launch airborne towards their trigger while barking rapidly, accompanied by very “forward” body language. I’ve also worked with dogs who shrink towards the ground, tuck their tails between their legs, and skitter forwards and backwards while making a high-pitched, squeaky bark. In both of these cases described above, the dogs are fearful of their triggers. One just had more self-confidence in its ability to “scare away” the trigger, while the other was still trying to decide whether fight or flight was its best option. It is rare that one true, specific “cause” for a dog’s reactivity can be pinpointed. Factors that can contribute to reactivity include genetics, poor socialization, prior abuse or neglect, harsh or inappropriate training techniques, or a one-time traumatic incident. In almost all cases, reactive dogs seem to be harboring some degree of fear towards their trigger. How do you fix reactive dog behavior? The good news is that regardless of the cause, reactive dogs can make great progress with a positive dog training plan. Across the board, reactive dogs do not know what they should be doing instead when they see their trigger. They are simply doing what comes naturally to them. A good training plan focuses on using rewards to teach the dog what exactly you would like the dog to do when he sees his trigger. A dog that is sitting quietly at your side isn’t lunging toward another dog. Those are incompatible behaviors – the dog can’t do both at the same time. If you build strong foundation behaviors, like we do in our Reactive Recovery group training classes, the dog will be far more likely to do those than to react. It is extremely important that all training is done using positive reinforcement and rewards, rather than physical corrections from a leash or collar. If a reactive dog learns to associate its trigger with the pain of a shock to the neck, or jerk on the leash, their behavior may intensify – a very dangerous side-effect. I have seen this result in increased aggression, including aggression directed toward the owner. My team and I have also noticed that reactive dogs trained with these techniques will quickly revert to their old behavior when off-leash or not wearing a training collar. Instead, training reactive dogs with food and play results in a positive association with their trigger. When done correctly, the dog looks forward to seeing its trigger, because the dog learns that “trigger = focus on your handler to earn rewards.” This association, built over time, persists even when food is not present or the dog is not in the middle of a training session. Plus, it’s far more enjoyable for the dog! 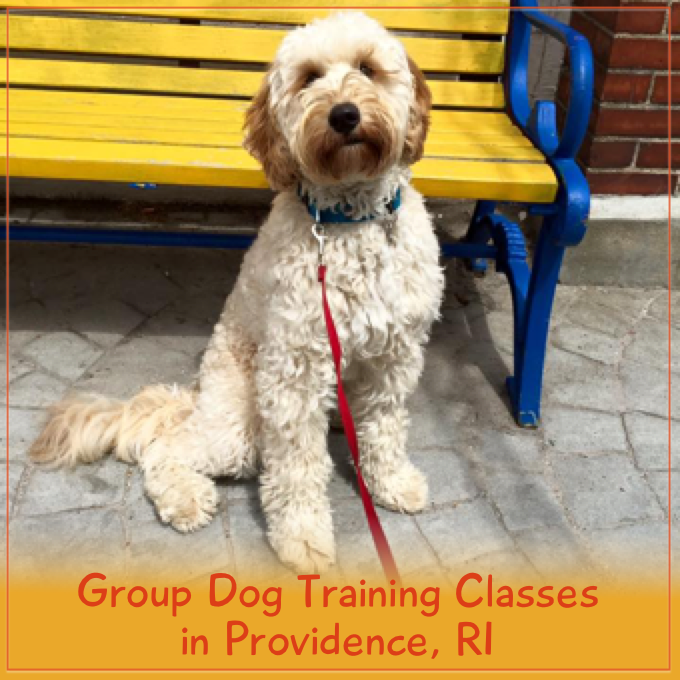 If you think you have a reactive dog and are local to Providence, RI, give us a call and we can help. If you’re not local, send me an e-mail. 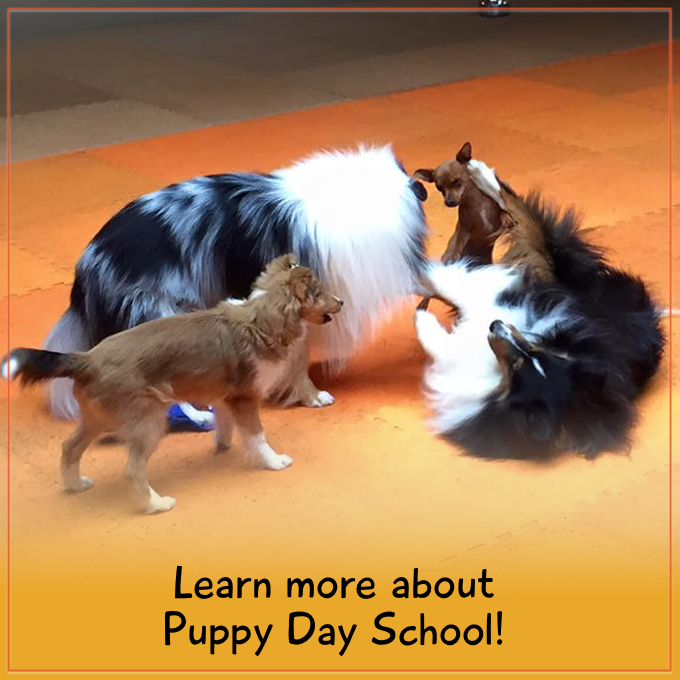 I would be happy to refer you to a qualified trainer in your area who can help you change your dog’s behavior.